This chapter will cover a wide variety of complications without a common uniting theme. Some topics are well established in the literature, whereas others are well recognized, common problems that have not been researched extensively. References may be sparse or nonexistent in some areas. 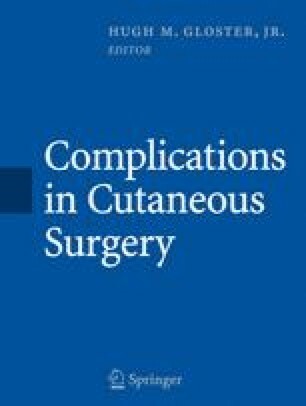 These miscellaneous complications are still important and the cutaneous surgeon should be capable of avoiding them before they occur and treating them once they arise.